Furniture in its most basic form is simply utilitarian. In the hands of master craftsmen, however, it is transformed into works of art. I look not for the ordinary but the extraordinary: the wonderful turnings on a 17th century oak table, the superbly chosen matched veneers on 18th and 19th century Gillows pieces, the rare original design of a 19th century campaign dining table. On these pages you will find examples of period English furniture from the mid-seventeenth century to the Aesthetic movement of the nineteenth century. 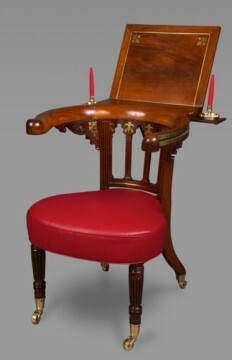 You will always find certain groupings that I find particularly interesting: campaign furniture designed to be easily transportable to far-flung destinations; Metamorphic Furniture, ingenious pieces that transform from, for example, an armchair into library steps; and Anglo-Chinese and Anglo-Indian export furniture made after English & European styles and designs that catered to the residents of those great empires. I hope you will find the work of Gillows as exceptionally interesting as I do. Founded around 1728, the firm rivaled Chippendale by the late 18th century for the quality of commissions and patronage it enjoyed. 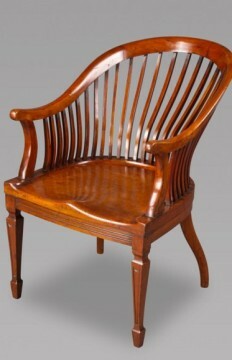 Unique among English furniture makers, Gillows continued to produce superb pieces well into the late 19th century and often proudly impressed its name on its creations. Additionally, you will find on these pages decorative items I have chosen to complement the English furniture styles. Each piece has been selected with the same exacting standards in mind. 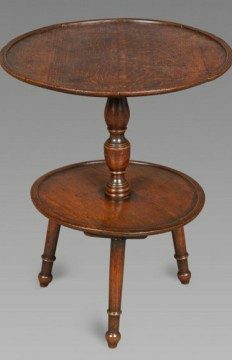 Michael Pashby Antiques is the culmination of decades of studying fine English antiques, collecting and trading them and always looking for finer and more interesting examples of period English furniture. The most enjoyable thing I can imagine is sharing the enthusiasm I have for every piece I offer here with others. Every item I sell is guaranteed to be as described. I will be pleased to discuss any item with you. I show objects by appointment or I would be happy to meet with you at the fairs where I exhibit. Please note that not all of my stock of antique English furniture and decorative objects is shown here, so feel free to contact me for any particular items you may be seeking. Every item I offer is guaranteed to be as described. Selected items are always on display at the New York Design Center and I would be happy to meet with you at the fairs where we exhibit or by appointment to discuss other pieces of our extensive stock. 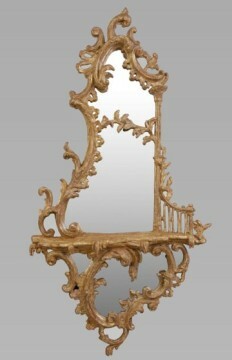 Specializing in fine English furniture and decorative arts of the mid  17th to late 19th centuries, with an emphasis on signed Gillows furniture, as well as campaign and colonial furniture.